Manufacturer of a wide range of products which include d joint. 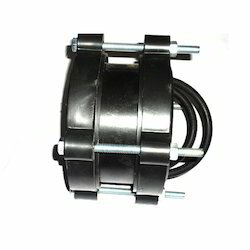 Available Sizes 2" to 12"
D Joint is specifically designed for installation in the piping systems where the use of expansion loops is impractical. These joints absorb terminal movement or thermal expansion in the piping system for a smooth and continuous flow. With these types of joints, one can also go for flexible connections in the pipelines without any kind of leakage. Available in different shapes and materials, these joints are highly immune towards the corrosion due to internal flow and external conditions.